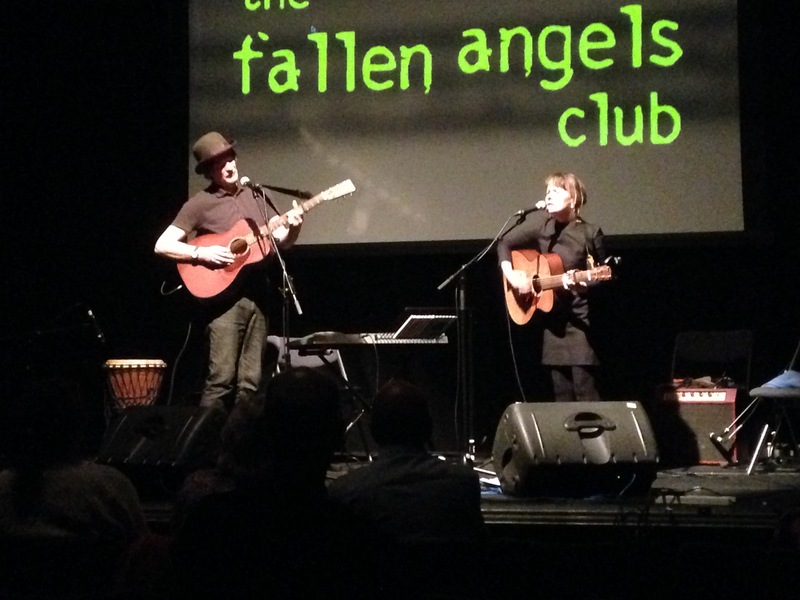 The Fallen Angels Club at CCA was host to a double bill of Scotland’s Monica Queen and American Mark Olson. Monica Queen kicked off proceedings with a short but very sweet set accompanied by long time musical partner Johnny Smillie, both on acoustic guitar and vocals. Starting off with the aptly titled “In The Dark” the set progressed through from the heartfelt “Words That Take The Weight” to the closer “When It’s Time To Go.” “One Room House” was particularly affecting with Johnny Smillie providing great harmonies and tasteful lead guitar. Monica Queens voice has been compared to Emmylou Harris’ but, to my mind, she harks back to earlier artists such as Patsy Cline but without the schmaltz. Her self-penned country ballads can hold there own against anything you’ll hear from Emmylou Harris or Nanci Griffith.Unfortunately Monica Queen has not gone on to greater things after a long stint with 90’s band Thrum and a long critically acclaimed solo career. Mark Olson’s main claim to fame is the fact that he was one half, with Gary Louris, of the songwriting team behind ground-breaking Americana band The Jayhawks, however his solo set at CCA showed a more reflective and folky side to his songwriting. Playing mainly a strummed Strat and occasional dulcimer he was accompanied on harmony vocals, djembe and keyboard by Norwegian wife Ingunn Ringwold. He ran through a 1hour 20 minute set with numbers from The Jayhawks (“Blue”, “Over My Shoulder”), material from new album Goodbye Liselle and from past outings with previous project The Original Harmony Ridge Creekdippers. It was obvious that the duo were a tad weary at the beginning of their show and by Olson’s own admission were drained by being on a long European tour. Between numbers some of his observations were rather rambling and eccentric, however as the night wore on they gained in energy to the benefit of the music. Not a classic performance but interesting nonetheless from a very individual performer.